As a grand event of global trade, the first China International Import Expo (CIIE) kicked off on Nov. 5 at the National Exhibition and Convention Center in Shanghai. The world’s first country-level expo on the theme of import includes business exhibitions, country pavilions for trade and investment achievements, and high-level parallel forums. Here come the highlights of the expo. The CIIE adopts scientific and technological methods to add distinctive charms to the country pavilion. The National Trade Investment Comprehensive Exhibition is an initiative of the CIIE. At the expo, 82 countries and three international organizations have established 71 booths in the country pavilion for trade and investment. With an area of 30,000 square meters, the country pavilion serves as a great platform for foreign businesses to fully display their development achievements in trade and investment. Countries from all over the world, including developed countries, developing countries, and the least developed ones, gather together at the expo. Twelve guest countries of honor, including Indonesia, Vietnam, Pakistan, South Africa, Egypt, Russia, the UK, Hungary, Germany, Canada, Brazil, and Mexico, have set up booths featuring their unique characteristics and sent high-level government delegations to the expo. High-tech means and diversified ways have been adopted by countries to showcase their unique regional cultures and advantages of featured industries. The exhibition in the country pavilion covers trade in goods and services, industrial situations, investment, tourism, and representative products. China is the first in the world to hold economic and trade forums in parallel with the import expo. New special technologies light up booths of renowned enterprises. The business exhibition hall of the expo, which holds more than 3,600 enterprises including over 200 Fortune Global 500 companies, is like a place of wonder that collects world’s famous enterprises. There are over 400 enterprises in the exhibition area of intelligence and high-end equipment and facilities, including Fortune Global 500 firms like General Electric, Microsoft, Canon, Hitachi, Siemens, and Dell. Strong performers in robotics and robotic automation such as KUKA, ABB, and FANUC have also come to display their cutting-edge achievements at the expo. With special booths accounting for 91 percent of the business exhibition area and over 100 new products and technologies released at the expo, there’s a lot to expect at the event. The car exhibition area is an eye-catching spot, which displays fine products of 69 famous automobile companies. With about 95 percent of the car exhibition area taken up by Fortune Global 500 companies and leading enterprises of the car industry, visitors can see all the mainstream cars. The medical equipment and healthcare exhibition area gathers more achievements of scientific and technological researches. Over 300 major companies of the medical and healthcare industry are here to showcase their edge-cutting products, including Roche, AstraZeneca, Johnson & Johnson, Sanofi, and Bayer. The release of a number of new technologies has enhanced the scientific and technological value of the expo, and also provided new directions to China’s supply-side structural reform. The innovative products created to serve people’s needs of a better life are very much welcomed. In the seven major exhibition areas, there are a great variety of products closely related to people’s daily life. 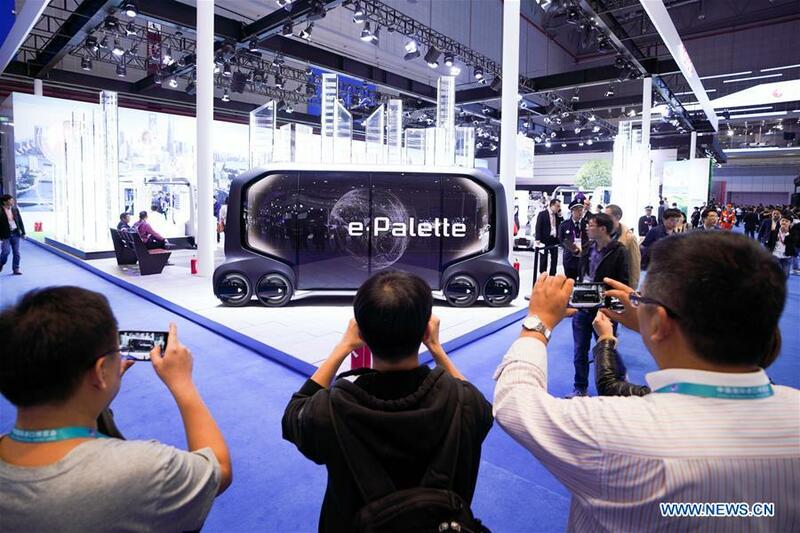 Great attention has been drawn to the exhibition of consumer electronics and home appliances, clothing & accessories, consumer goods, and food and agricultural products. Food and agricultural products are closely linked with people’s livelihood, and are thus given the largest exhibition room. It is expected that the area will attract more individual attendees and win favor of purchasing delegations. Meanwhile, home appliances and consumer goods are also the focus of various purchasing groups, and the business negotiation is very active. China’s Vice Minister of Commerce Wang Bingnan noted that in order to facilitate more deals, local governments and relevant authorities had organized 39 trade delegations and nearly 600 sub-delegations to the expo, enabling over 100,000 backbone enterprises and more than 150, 000 buyers to carry out business negotiations and purchase at the expo. Before the expo, China held seven supply-demand matchmaking conferences to promote trade among key exhibitors and merchants, said Wang, disclosing that there would be multiple large-scale supply-demand matchmaking activities at the expo to provide businessmen with comfortable zones for negotiation and facilitate deals at the event. The enterprises from various countries of the world would find their trip to the first CIIE rewarding and satisfying, expressed the vice minister.